File contains a photograph of the Seaview African Baptist Church in Halifax's Africville neighborhood. 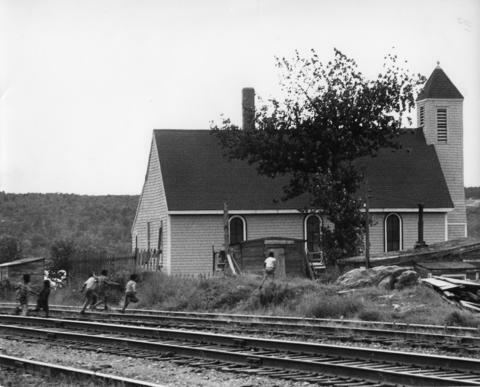 The photograph shows a group of children running across the rain tracks behind the church. The photograph was used in Donald Clairmont's "Africville Relocation Report" ("The Seaview African Baptist Church" pg. 4-22).